Ultrabooks are expected to be the Next Big Thing in tech come the new year. The tread toward these super thin laptops started by the MacBook “It fits in a manila envelope!” Air is poised to reach critical mass in 2012. PC Pro is anticipating as many as 50 new ultrabooks to be shown off at the upcoming Consumer Electronics Show (CES) in January. With netbooks on life support and the tablet market a quagmire to everyone not Apple, ultrabooks are the New Shiny of PC manufacturers. But how much of a premium will it cost early adopters to get their hands on the latest and greatest? According to Acer, about 400 smackers. DigitTimes quoted Acer president Jim Wong as saying he expects ultrabook prices to drop from their current MSRP of $1000 to $800-900 by the second quarter of 2012. In 2013, Wong expects ultrabooks to be on the market for $499. That’s quite a few Benjamins to buy some food for thought. 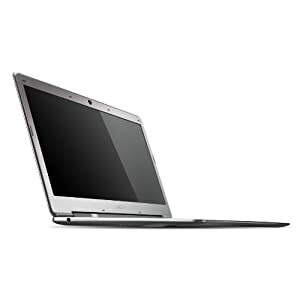 Acer is currently shipping one of the least expensive ultrabooks on the market: The Acer Aspire S3-951-6646 which sports an 1.6Ghz Core i5 CPU, 4GB of RAM, and a 320GB hard drive for $899 (at the time of this writing).